Leigh Tucker, Managing Director, Nonprofit Client Practice, CliftonLarsonAllen LLP, has more than 25 years of experience in accounting and financial management. 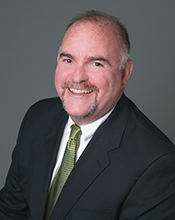 He has spent the majority of his career providing financial and consulting services to the nonprofit community. His experience includes 14 years with two of the Big 4 public accounting firms, primarily as a senior audit manager. Leigh’s expertise includes all areas of the nonprofit arena, including higher education, health care and other 501(c)(3) organizations that receive federal and state funding in accordance with OMB Circular A-133. In addition to his public accounting experience, Leigh has been the corporate controller and CFO/COO for two privately held companies; one which provided technology and communication services to nonprofits nationally, and the other in the healthcare sector. Since joining AMS in 2003, Leigh has overseen the company’s rapid expansion in the nonprofit market and is responsible for ensuring client satisfaction in addition to coordinating all business development activities relevant to the nonprofit industry. In addition to creating the Nonprofit Executives networking group, Leigh has also served as member, treasurer, and fundraising chairman on several boards of directors. He is a sought-after speaker on various nonprofit topics and spoken at the Merrill Lynch Philanthropic Advisory Council’s annual symposium, the Support Center for Nonprofit Management, and The Hartford Foundation. Most recently Leigh was invited to join Charity Navigator’s Advisory Panel. Leigh holds a B.B.A. degree from the University of Massachusetts/Amherst and is a member of both the American Institute and Massachusetts Society of Certified Public Accountants. Sign-up to receive information about upcoming events by email. Nonprofit Executives is an organization focused on connecting professionals committed to the nonprofit sector. We link nonprofit professionals to resources, new opportunities and each other.